SYNTHETIC GEAR OIL EP 75-140 LS. 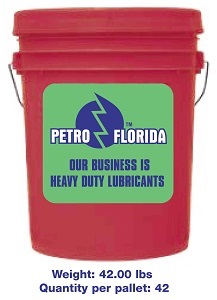 PETROFLO BRAND Limited Slip Gear Oils are full synthetic and extreme pressure GL5 gear lubricants that are compounded with synthetic base-stock fluids. These lubricants contain extreme pressure additives,as well as rust, oxidation and corrosion inhibitor to protect gears, and bearing operating under a wide variety of load conditions. 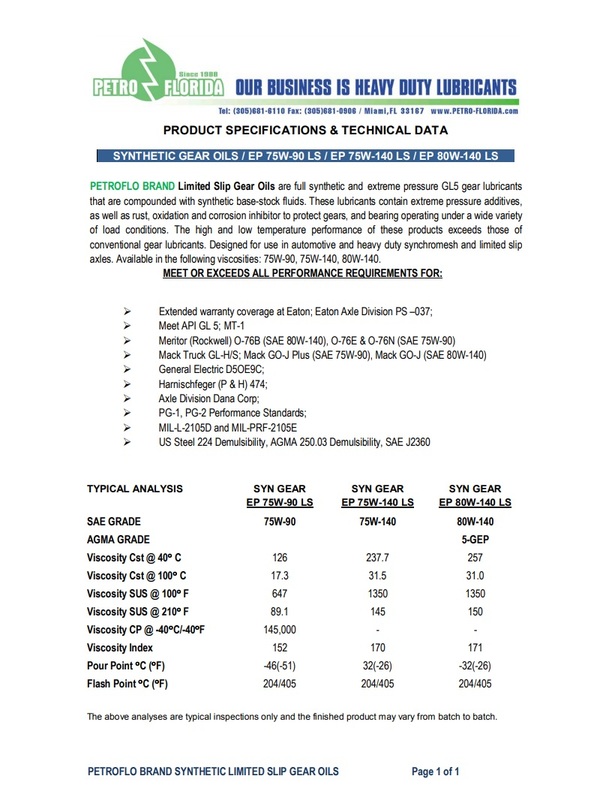 The high and low temperature performance of these products exceeds those of conventional gear lubricants. Designed for use in automotive and heavy duty synchromesh and limited slip axles. Available in the following viscosities: 75W-90, 75W-140, 80W-140.